RAW these days is the exact opposite. Among full-timers the top babyfaces are Roman Reigns, Bobby Lashley, Braun Strowman, Finn Balor and Seth Rollins. The top heels are Kevin Owens, Dolph Ziggler, Drew McIntyre, Elias, Jinder Mahal and Baron Corbin. None of those heels have been booked as being on the same level as Reigns, Lashley, or Braun. Corbin isn’t even over and just lost to Balor. He lost to No Way Jose recently as well. This is very seriously hurting the product. The prime example is the Owens/Braun feud. How many fans believed that Owens was in any way a threat to Braun? He was running away from him for weeks in comedic ways, before getting destroyed at Extreme Rules and then getting a “win”. 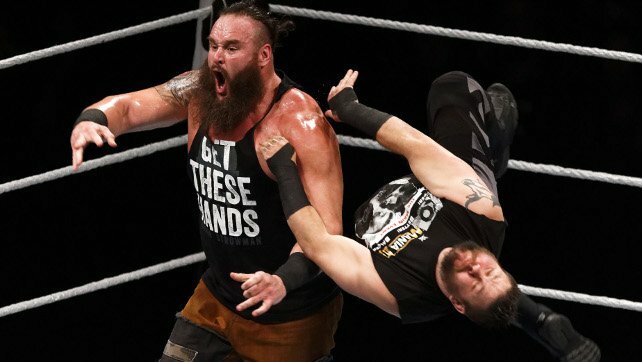 Braun is still a monster, Owens now looks like a joke. Can you imagine Owens coming out to challenge Reigns? Is it believable that he can even last 5 minutes with him at this point? Heels are supposed to be threats that babyfaces struggle to overcome, not comedic characters who are constantly humiliated by the babyface.